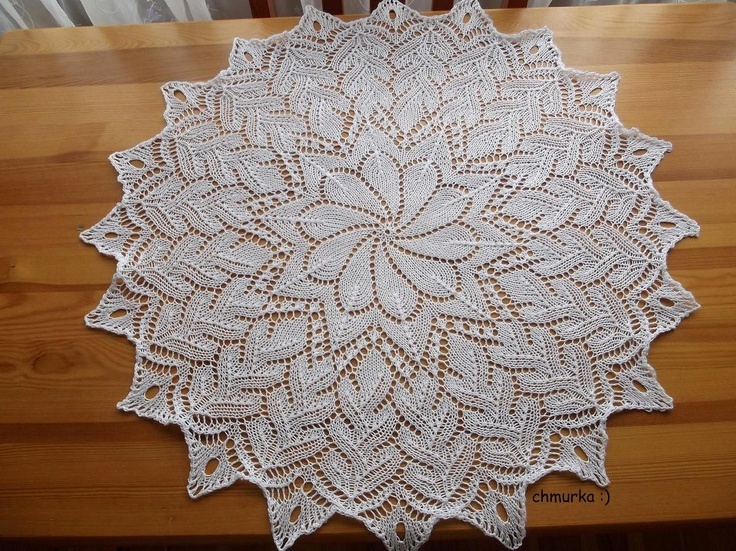 Knitted lace can be made into clothing, veils and shawls, tablecloths. And it can use very fine yarns. I've heard that “lace knitting” is patterned on one side, and plain knitting on all the reverse rows; whereas “knitted lace” has pattern on all the rows. You need to be a member of Knitted Lace and Lace Knitting to add comments! Those are both very beautiful. Would you also post them to our PHOTOS? Then we will be able to find them easily in the future. The NOTE on PHOTOS explains how to do that. Making lovely gifts like this is a beautiful way to honor your friends. It is also a gift for all of us who get to see your work. Thank you for sharing. And this is the last thing I did, also to continue my work to make little gifts to friends! The pattern is on a new book that I bought called ¨Knitted Lace¨ by Sonja Esbensen and Anna Rasmussen. This time, I started to make my year-end gifts for friends, because I always needed more time to finish !! So, I did it as a gift for a friend, the pattern is in Anna Burda magazine (July 1991) from my stash of book and magazine. I'm taking Judy Anderson's morning knitted lace class. Good for you winning first place at your county fair! Hope to see you in Indianapolis. Hello Everyone. I've just joined this group. I took Diane Willett's beginning class in Coralville, IA. Since then, I've made a few little doilies. I'm pleased to say that one of them won first place at our county fair. I will be taking Judy Anderson's knitted lace class at the IOLI convention in Indianapolis. Will anyone here be in that class? In case you don't have enough lace knitting books, here are some more.